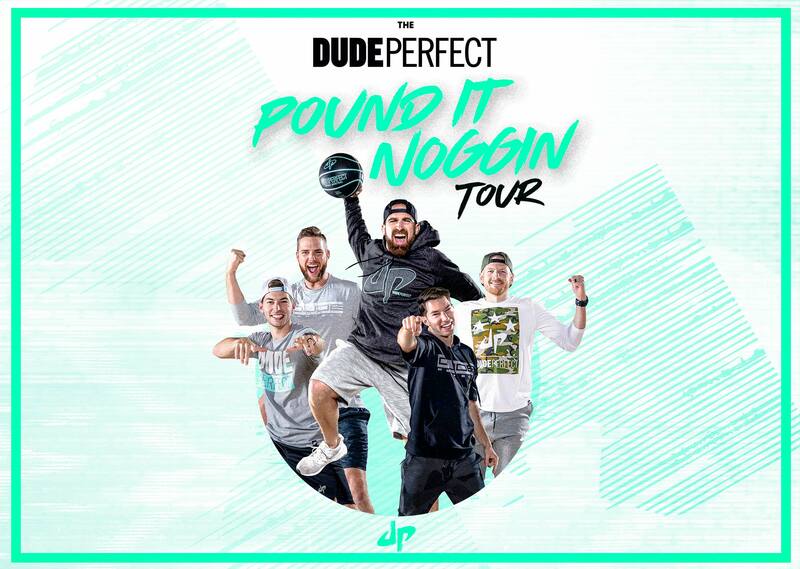 Today one of the biggest personalities on YouTube, Dude Perfect, announced their first ever live tour, which includes a stop at H-E-B Center at Cedar Park on Saturday, August 10th. Tyler Toney, Cody Jones, Garrett Hilbert, and twins Coby and Cory Cotton will take their ultimate variety show across the U.S. this summer. The five best friends from Frisco, Texas have more than 70 million social media followers and will be giving fans a look into the fun world of Dude Perfect, highlighting—live and in person—fan favorites such as Overtime, Stereotypes, Battles and stunts. Some lucky fans will even have the chance to participate with the dudes in their crazy antics! VIP Packages available during presales with passcodes and again at the general onsale via Ticketmaster.com. -Official Meet & Greet and photo opportunity with Dude Perfect including Panda! -One premium reserved ticket, best seats behind VIP1!